Hewlett-Packard completely killed their devices running Palm's WebOS a couple of days ago. It is unclear what they will do with their mobile OS now. But general speculations say that webOS is gone forever. HP had big plans for this operating system. They had thought of including it on their computers. They had plans of using it in appliances and cars. CNET is running a poll asking people what the company should now do with WebOS. 'Distribute it through open-source' is getting the highest votes from their readers. If HP really has no use for WebOS, it won't hurt to release the code. In fact, it will only do good. Here are three solid reasons why they should consider going open-source. 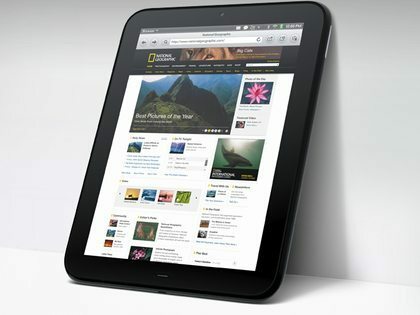 If WebOS goes open-source, it can be used as the operating system in cheap tablets and phones. Developing countries are coming up with such cheap computers to help in education. WebOS is a solid operating system which is full featured. It is not a custom Linux-based set of packages designed by students. It is a full-featured mobile OS that was designed by a huge corporation. If it goes open-source, companies/governments/philanthropists/whoever could change it based on what they are aiming to do. Also, why not WebOS on cheap phones in developing countries? If really low-cost phones have this kind of OS, demands will rise by a lot. It might as well receive a lot of software support from developers if there are a lot of users. Every geek loves tinkering around with free, open-source software. HP engineers tried running WebOS on iPad. If WebOS is open-source like Linux, we will see a lot of hobbyists doing really cool stuff using it. We don't have really good open-source OSes made for mobile devices. WebOS has a lot of potential. If geeks and hackers start using it in really creative ways, it is hard to predict the really good things that will be made for this world as a whole. There is no denying the fact that companies that invest in or develop open-source software are looked up to. If HP don't think they are doing well, they should totally consider releasing the code for WebOS. It will seriously help them. Don't they want some karma?